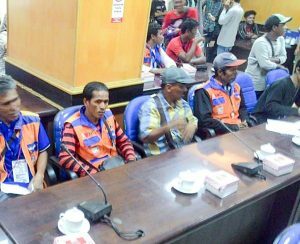 Parking attendants in Makassar were given paralegal training by the Makassar Legal Aid Institute. The program aims to improve legal awareness and embolden participants to fight corruption. Tempo Media Grup – EVERY time he talks about current affairs concerning the law and politics, Syam­sudin—known as Aco—will inevitably get fired up. Oc­casionally he will contribute his own analyses. Once in a while, he will refer to laws that are relevant to whatever the issues being discussed, both criminal and civil, even laws on marriage. The 51-year-old resident of Parang Tambung in Makassar, South Sulawe­si, says the comments he makes often surprise his conversation partners—perhaps because he is a “mere” park­ing attendant at a mall in Jalan Pengay­oman, Makassar. Aco has directed park­ing at the mall for 15 years, after trying his hand at various jobs upon finishing middle school. “Before, I was complete­ly blind about legal matters,” he said. Aco explained that he began studying the law in a paralegal training program organized by the Makassar Legal Aid Institute (Makassar LBH) in 2015. Those who made presentations in the training program included representatives from the Makassar LBH, Indonesian Wom­en’s Legal Aid for Justice (LBH APIK), the Anticorruption Commission (ACC) and the South Sulawesi Information and Communication Forum for Non-gov­ernmental Organizations (Fikornop). Besides parking attendants such as Aco, farmers as well as representatives from customary and coastal communi­ties also participated in the one-month training. 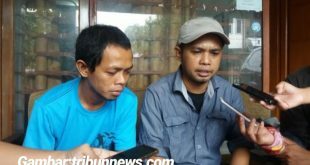 “Daeng (honorific for a respected man in the Makassar tradition) Ngawing and I represented the Makas­sar Parking Attendants Union (SPJM),” said Aco. The paralegal training did not only widen Aco’s horizons on legal affairs; it also gave the father of three courage. Through the program, Aco learned to recognize and fight attempts at intim­idation, both by law enforcement offi­cers and ordinary citizens using the ser­vices of parking attendants. Now, park­ing attendants who participated are bold enough to negotiate. Last year, for example, Aco and Mursalim aka Ngawing led an audience between the SPJM, PD Parkir (regional parking enterprise) and the Makassar Regional People’s Representative Coun­cil (DPRD) to discuss the implementa­tion of smart parking, which would re­quire parking attendants to take photos of vehicles using their services. 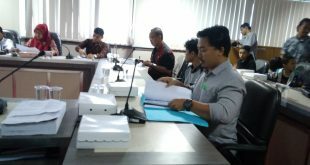 According to the initial plan, PD Parkir would be receiving 60 percent of profits, while the rest would go to the parking attendants. The SPJM refused the plan. “On the field we’re exposed to the heat and rain. It would be unfair to receive a smaller portion of the earn­ings,” said Aco. The plan has not yet been implemented. THE various problems experienced by parking attendants are why the Makas­sar LBH held the paralegal training pro­gram. 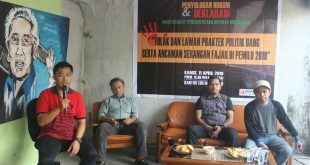 Another reason, said Makassar LBH Director Haswandy Andy Mas, was the disproportionate number of avail­able attorneys and paralegals com­pared to people in the community who need but cannot afford legal aid. The LBH then brainstormed ways to empower the community, to effect structural changes in the legal sphere, by providing paralegal training on ba­sic legal knowledge. “We want the com­munity to be able to defend and fulfill their rights as citizens,” said Haswandy, known as Wawan. Coincidentally, in 2010-2011, the LBH and Fikornop began advocating on be­half of parking attendants. At the time, PD Parkir had implemented fees for ve­hicles parked on public roads. Accord­ing to Wawan, the regulation could po­tentially harm parking attendants’ earnings as they must also deposit money to the owners of the property or buildings they work on, say restaurant and shop owners. Because of this development, park­ing attendants began to be involved in routine discussions at the LBH office, also attended by representatives from the low-income urban community, such as street vendors, those living in slum neighborhoods, and victims of evic­tion. In the discussions, the LBH did not only perform legal mentoring, but also accustomed participants to addressing the public and speaking their minds. The discussion sessions encouraged the LBH to hold paralegal training in 2015. The program was joined by 20 in­dividuals, Aco included. In the program, the LBH applied the standard nation­al curriculum for paralegal training, which, among others, covers topics such as gender equality, child protection, the environment, human rights and a num­ber of international conventions. 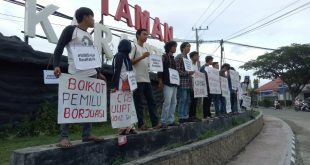 “We also provided material on labor rights, in line with the problems they most of­ten encounter,” said Wawan. Wawan said the organizers did have issues when they presented the materi­al, especially because none of the par­ticipants had any legal background and most had only completed middle school. Furthermore, participants did not truly understand the goal of the training pro­gram at first. “Some thought the train­ing was to help them evade the Police Mobile Brigade,” said Wawan, laugh­ing heartily. There were also partici­pants who claimed to feel “nauseated” because the material was too heavy. Because of these issues, topics were always delievered contextually. When teaching about gender equality, say, the LBH’s team introduced the topic by discussing household problems. When teaching about the duties and author­ities of government institutions, the team would discuss issues experienced by the community. 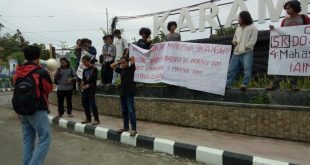 “So, they know their position and rights, for example when the parking fee is raised by the govern­ment,” said Makassar LBH’s division head of labor rights and rights of the poor, Firmansyah, known as Charlie. According to Charlie, after the train­ing program was completed, partici­pants were still given indirect assis­tance by the LBH and Fikornop, espe­cially during legal predicaments. Ngawing says the LBH’s paralegal training has improved his self-confi­dence. Although he is “only” a middle school graduate, Ngawing now has the courage to mediate issues, negotiate with law enforcement and accompany his colleagues who are involved in prob­lems with the police. “I had actually been wanting to do something about in­justices [for a long time], but only now do I have the courage, because I’ve learned a little bit about legal procedures,” said the 50-year-old. But Ngawing still has two nagging concerns. First, the Makassar LBH has not provided follow-up paralegal train­ing for old participants—only for new ones. Meanwhile, Ngawing feels that he and alumni of the first program still need something of a refresher course. He believes that the discussions held at the LBH office are still insufficient for expanding his knowledge of the law. The second concern is the lack of ini­tiative from young parking attendants to learn about the law. Ngawing says un­til today not one SJPM youth has shown interest in participating in the parale­gal training program. As a result, Ngaw­ing and Aco can only attempt to share their knowledge in routine SJPM meet­ings every Monday. They will occasion­ally invite LBH activists and Fikornop to speak at these meetings. “My hope is that more parking attendants will be in­creasingly vocal and critical,” he said.